So I got a real treat this year for Father’s Day—I actually got my dad! It was a last-minute decision, but we got my dad a ticket down to Atlanta a few days before and so we got to spend a long weekend together. It seemed the travel gods were displeased with us, though, because his flight was super delayed (then cancelled, then he was put on another flight and arrived around 1:00 a.m.) on his way into the ATL, and then his flight leaving was also super delayed. Needless to say, we were tired! He came down to help me do handyman jobs on my new place, hanging pictures and the like. While we got some down time, we also were super busy and worked hard, so my papa deserved a GOOD meal on Father’s Day! 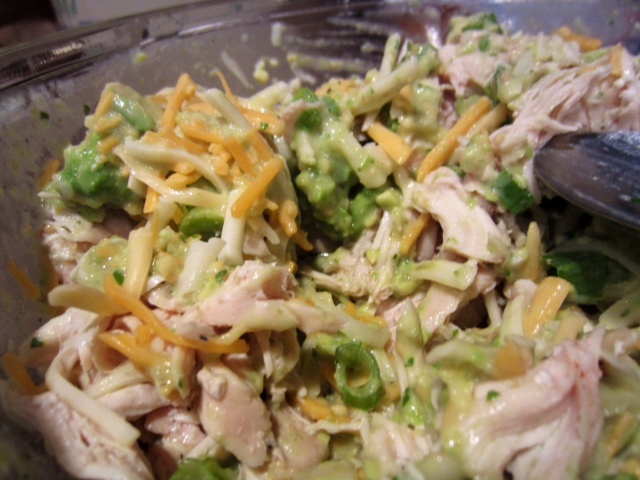 I had bookmarked this recipe a while back, and while it’s not totally in my wheelhouse, it’s definitely in my dad’s. We attacked it like starving hyenas, totally stuffing ourselves, then finished off our evening with creamy, refreshing lemon cornstarch pudding and some wine. All-in-all, a successful Father’s Day! 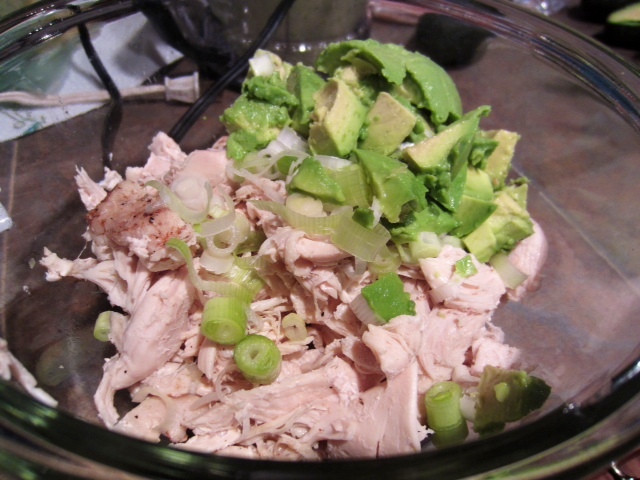 In a large bowl, stir together the chicken, other two avocados (cut into chunks), and green onions. 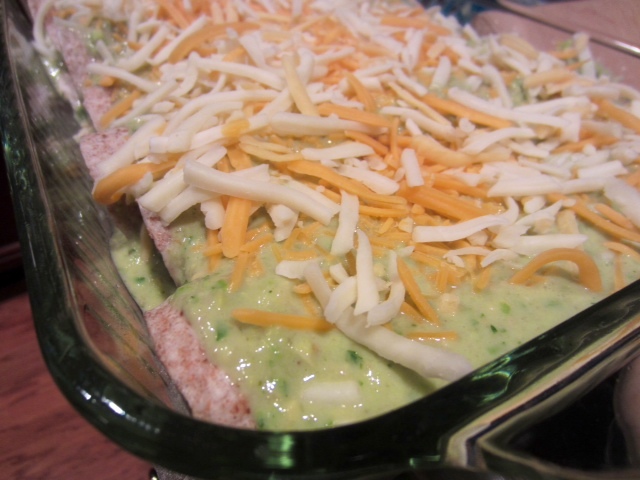 Pour in half of the green sauce and half of the cheese, then stir everything together until it’s a great, creamy mixture. 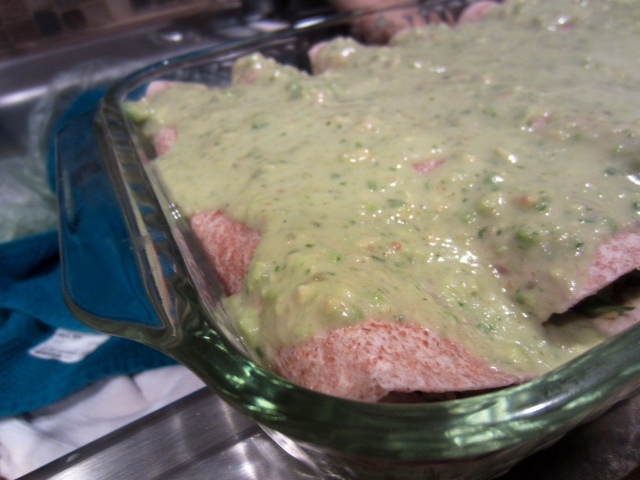 Pour some of the remaining green sauce into the bottom of a large baking dish and spread to coat it. 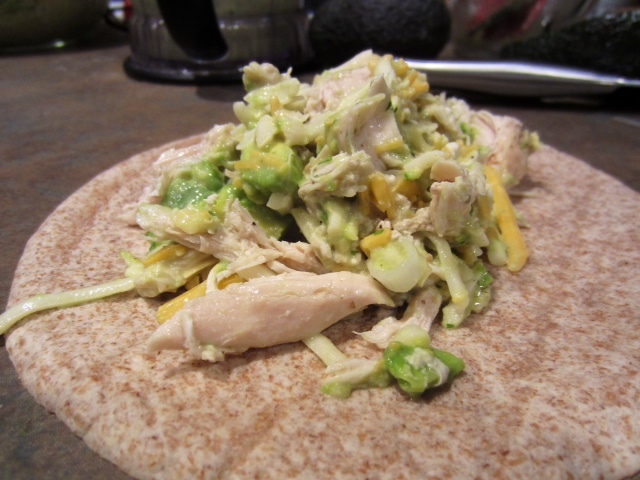 Then wrap the chicken and avocado mixture in the tortillas and place them in the dish. 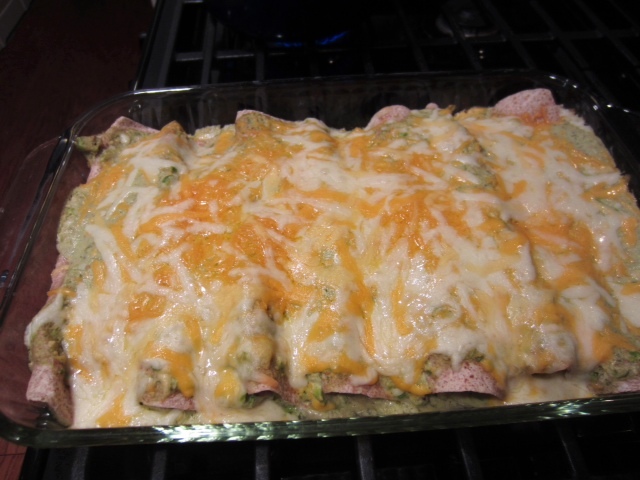 Pour the rest of the sauce on top of the enchiladas and sprinkle the rest of the cheese on top. 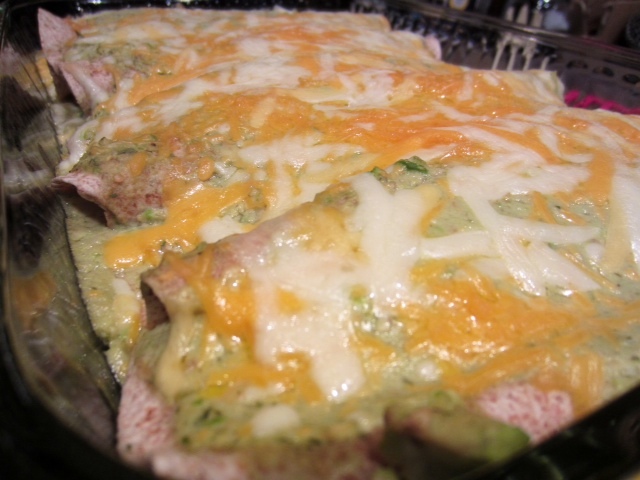 Bake at 350 F until the cheese has melted and the sides are bubbling, about 15-20 minutes. It took a little longer for me to feel like they were done, closer to 30 minutes. These were right up my dad’s alley, and the flavors were definitely great. 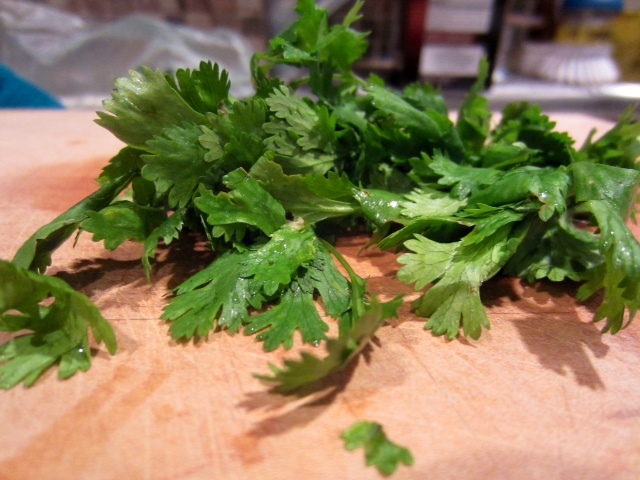 My pitiful pansy self still found them a little too spicy, but still totally edible—just a little extra water gulping! 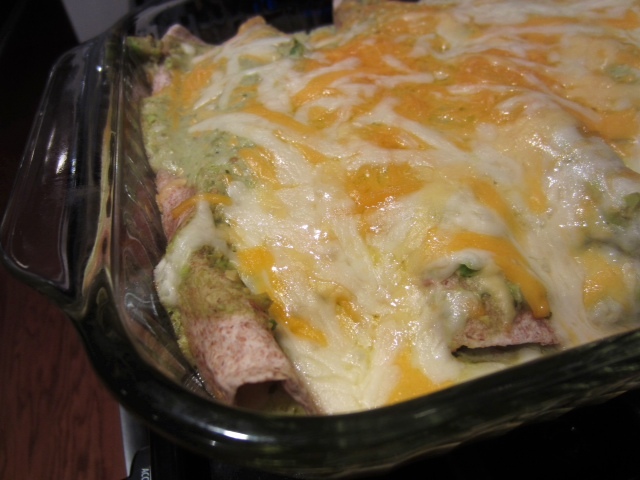 I’d totally make them again for any Mexican-themed night. 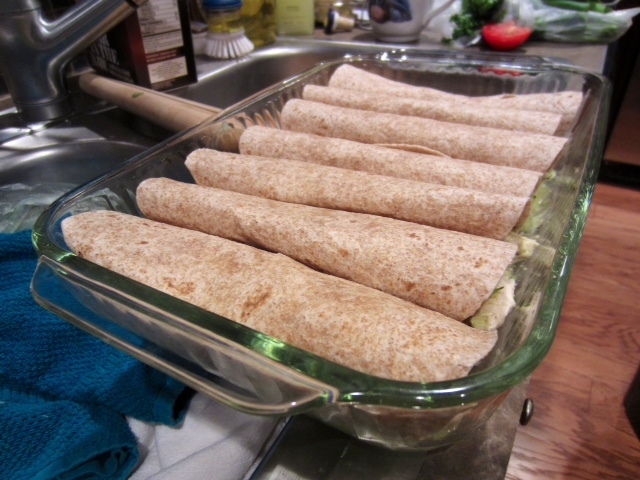 And they were great (if a little soggy) as lunch the next day. And the day after that. 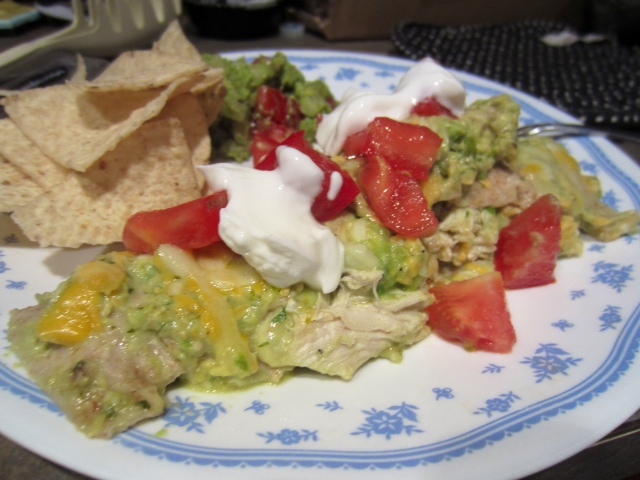 And possibly dinner the night after that…it was a lot of food! Oh man, I so agree! 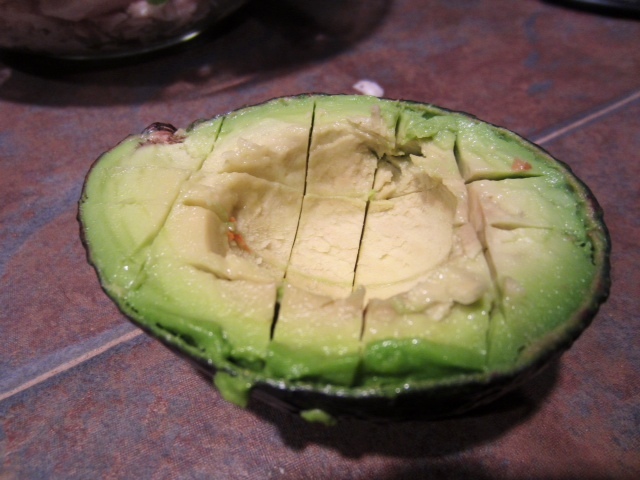 I eat avocados like they’re going out of style, straight in the shell with a little salt and pepper! You definitely have to try these! 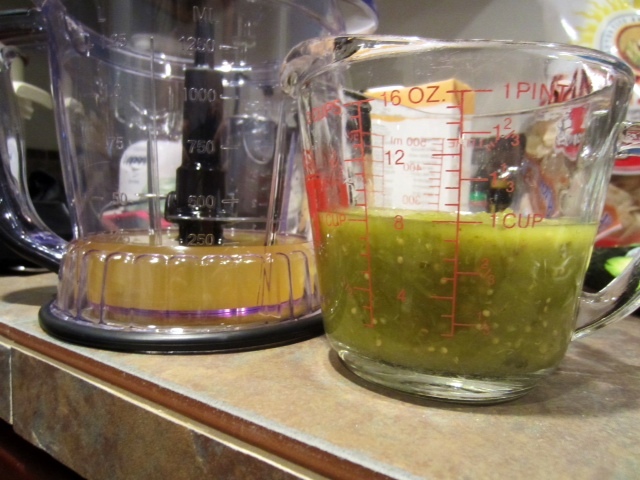 I haven’t tried chocolate avocado pudding, do you have a favorite recipe you can share?? Yes for sure, I will! 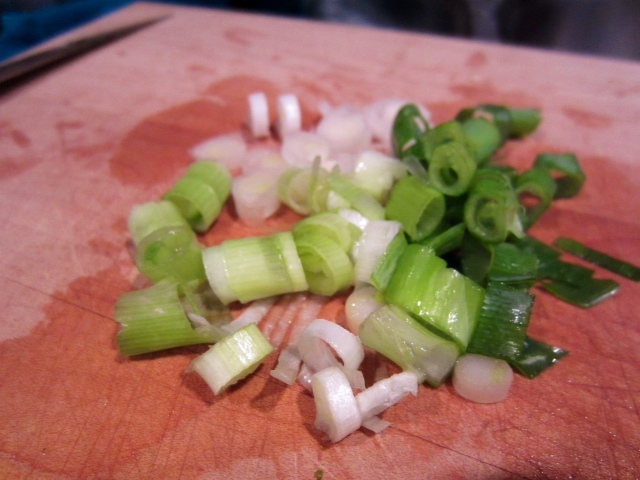 & I also love eating them with red chili pepper flakes, a little garlic/onion powder/ pinch of cayenne with a few chopped green onions and soya sauce on top! Sooo good and simple. & here’s the link to the recipe for my pudding! 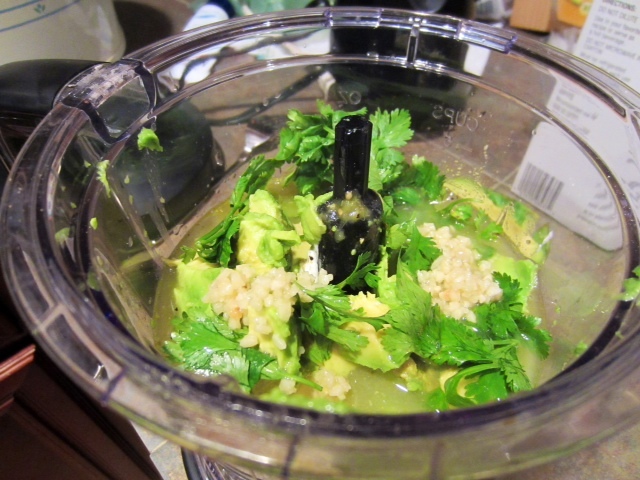 I actually have a ton of other healthy avocado recipes in my index if you are interested haha it’s one of my favourite ingredients!